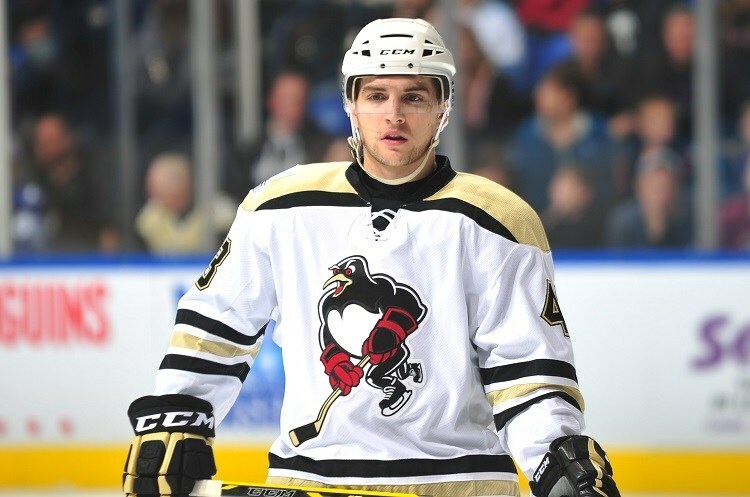 Penguins' Conor Sheary: The Next Tyler Johnson? 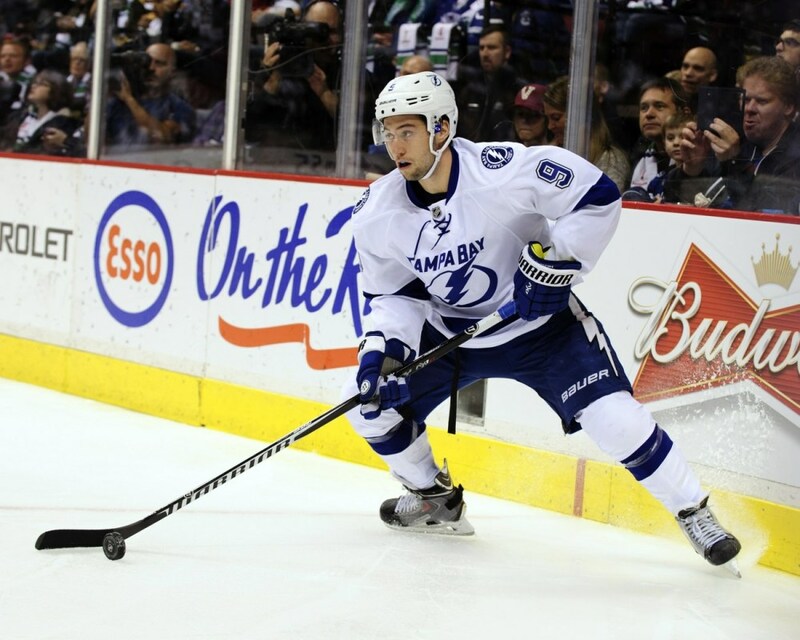 Penguins’ Conor Sheary: The Next Tyler Johnson? The Pittsburgh Penguins have had a tendency to trade away draft picks, season after season. Given this tendency, their farm system is running out of promising young players. Most prospects are in the NHL at this point or looking to move up within a season or two. With the lack of draft picks, it’s been surprising to see the Penguins not place any more emphasis on scouting undrafted college and international players. But the Pittsburgh Penguins might have to send waves of praise to the Wilkes-Barre/Scranton Penguins during the upcoming season. The 22 year-old forward is rather unknown to most Penguins fans. He played his college hockey at the University of Massachusetts Amherst and never produced at more than a point-per-game rate. 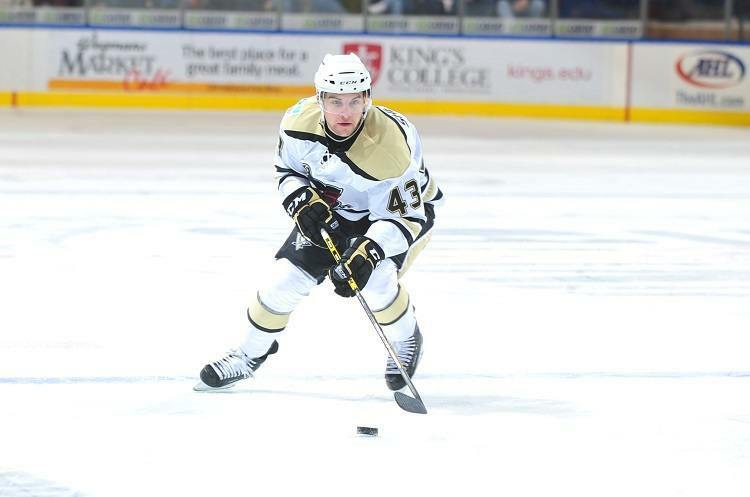 After graduation, Sheary eventually signed a tryout agreement with the Wilkes-Barre/Scranton Penguins, played in the final two regular season games of the 2013-2014 season and was held off the score sheet. Then in 15 playoff contests, Sheary produced 11 points (6 goals, 5 assists) and was a +4 skater. Wilkes-Barre/Scranton decided to bring Sheary back and in his first full AHL season, he played in 58 games, scored 20 goals, assisted on 25 more and was a +8 skater. Then during 8 playoff contests, Sheary produced 12 points (5 goals, 7 assists) for the baby Penguins. That brings us to the present and Sheary will now look to earn a spot on the Pittsburgh Penguins roster during training camp. Why was he not drafted? The Penguins, like every other team, passed on Sheary four years in a row. He never was an offensive star in college and the biggest problem was his size. Sheary is 5’9″ and just 161 lbs. But despite his small stature, Sheary is not afraid of playing defense. He tries to model his game after the three-time Selke trophy winner Pavel Datsyuk. Sheary also is not one to shy away from contact, during the baby Penguins game 4 of the Eastern Conference semifinals he knocked the 6’4″ 200lb defenseman Kevin Gravel into the bench. Despite being a smaller player, Sheary’s incredible hockey IQ allows him to find ways to compensate for lack of size. He’s a lightning fast forward who seems to who honed his scoring touch. A player who is remarkably similar to Sheary, is the current NHL postseason scoring leader, Tyler Johnson. Despite standing at 5’8″ and 183 lbs, Johnson leads the league with 12 goals and you guessed it, he was an undrafted free agent as well. While Johnson produced more offensively during his final years in the AHL, he was a more complete player to begin with. From all reports, Sheary is a tireless worker who continually wants to get better and has dedicated himself to being the best player he can. Before you think that Sheary is too small to make it into the NHL, look at Tyler Johnson, look at Martin St. Louis. Small and quick forwards have proven to have value in the NHL. I’d go so far as to argue that being an “undersized” player is an advantage in the modern NHL. The Penguins need to see what they have in Conor Sheary, sign him to a two-way contract and give him a serious chance during the upcoming training camp. Sheary’s a fierce competitor and will bring the best he has every single night, Pittsburgh could use some of that this upcoming season.